The Amlogic S912 SOC in the VIM2. With it’s eight Cortex A-53 cores, I believe it is the fastest ARM CPU configuration available that does not use Speculative execution and/or out-of-order execution. Am I correct in this belief? Is there anything faster that does not have SE and/or OOOE in it’s architecture? I plan on dual booting Nougat and Ubuntu Mate on this device. The DualOS .img located here: https://docs.khadas.com/vim2/FirmwareDualos.html specifically V180622: I assume, but just want to confirm: will it work with v1.4 with no issues? I wish to make sure the Bluetooth revision wont be a problem for either OS. Also is that .img that I linked above of Ubuntu a Mate desktop or something else? And will I be able to update it to 18.04 or 18.10 without issue? Or will I need keep it on 16.04? Is there any ETA on v1.4 release? I am in no real hurry and will gladly order whenever I am able to find answers to my questions. But I would like to have an idea of when I could expect the device in question. And that’s about it. I appreciate everyone’s time that considers assisting me with the answers to these questions and hope everyone has a great week! The new VIM2 V14 already in SMT process, and it will be ready for shipping next week. The existing ROM can support on new VIM2 also, but some feature like cooling fan will not supported and we will release new ROM to support both existing VIM2 and new VIM2 in compatible. The Amlogic S912 SOC in the VIM2. With it’s eight Cortex A-53 cores, I believe it is the fastest ARM CPU configuration available that does not use Speculative execution and/or out-of-order execution. Am I correct in this belief? Is there anything faster that does not have SE and/or OOOE in it’s architecture? Not quite clear what’s the meaning on this. Is there any ETA on the new fan working? I planned on buying the new heatsink/fan/case combo. Also the red DIY case, does it come with the bottom metal plate? I noticed you sold it separately, is why I asked. And finally SE and OOOE was my poor attempt at turning Speculative Execution and Out-Of-Order Execution into acronyms. Helli, Regarding the metal plate, I believe only the clear case is available without the metal plate. Colored cases come with metal plate. Thank you! You answered my question. The new 3705 Cooling fan already in molding stage now, should be ready for shipping in end of April. Thanks for the info. I appreciate it. The only thing I really need to know now is am I able to update the Ubuntu Mate to the latest version without harming anything. I would assume so, but any confirmation on this would be greatly appreciated. The only thing I really need to know now is am I able to update the Ubuntu Mate to the latest version without harming anything. I would assume so, but any confirmation on this would be greatly appreciated. You can upgrade to any version, but you may need to perform additional settings (restore settings). A large portion of the current mid-range Android handsets use the Cortex-A53 or Cortex-A55 in an octa-core arrangement and are not affected by either the Meltdown or Spectre vulnerability as they do not perform out-of-order execution. This includes devices with the Qualcomm Snapdragon 630, Snapdragon 626, Snapdragon 625, and all Snapdragon 4xx processors based on A53 or A55 cores. Also, no Raspberry Pi computers are vulnerable to either Meltdown or Spectre. Thanks for the info. I would like to see more SOCs with A55 configurations. But I guess that’s something to look forward to in the future. 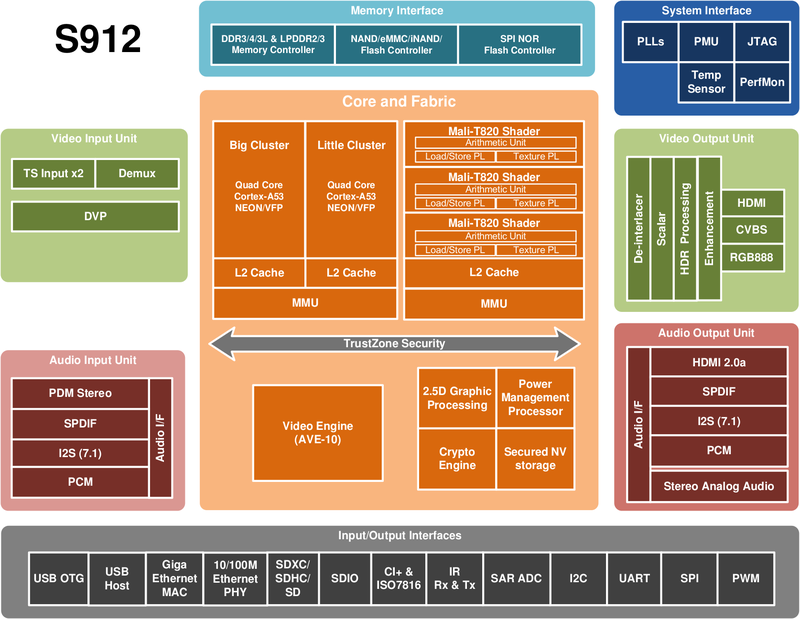 Have you heard of the Spreadtrum SC9863 Octa-core Cortex A55? Apparently 8 cores @ 1.6ghz. It’s designed for phones, but would be nice if someone made a version on an SOC. The upcoming Amlogic S905X3/Y3/D3 will feature with quad-core A55.